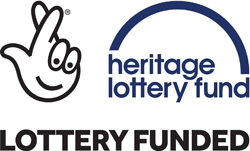 Heritage Lottery Fund Grant Received! Our Parish takes its duty and obligation to protect all extremely seriously. Information about safeguarding arrangements in the Diocese of Gloucester is available on the Diocesan website. This page includes contact details for the Diocesan Safeguarding Team. Our Parish Safeguarding Officer is Andie Collins. She can be contacted on 01594 546722. Welcome to the Parish of Mitcheldean and Abenhall, which is situated within the picturesque Forest of Dean in Gloucestershire, England. We are an active parish and alongside our regular opportunities for worship and celebration, we also offer occasions for private and group prayer, teaching and christian fellowship. We hold regular social events to strengthen the bonds of friendship between members of our church family and work to engage with the wider community through pastoral care, community-facing events and especially through our strong links with our local church school: Mitcheldean Endowed Primary School. We are fortunate to have two ancient and beautiful Grade Listed church buildings to underpin our work and both are also of historic interest. St. Michael's, Abenhall has strong links with the Freeminers of the Forest of Dean while St. Michael & All Angels, Mitcheldean boasts one of the few remaining Doom Paintings in the country. As Anglicans, our parish lies within the Severn Vale Deanery in the Diocese of Gloucester, which is part of the wider Church of England. Our national church forms one of the many provinces in the global Anglican Communion, which stretches over 165 countries worldwide.